When you think about Florida the natural reaction is to want to visit South Beach. It's one of the biggest tourist attractions in South Florida and every time a friend or family member is in town the first request is "Can we go to South Beach?" When I was in college at UM I would frequent South Beach often. Weather it was to stroll down Ocean Dr, attend one of the many day parties, dance the night away at one of the clubs or grabbing one of those mouthwatering specialty drinks while hanging out at one of the many bars, South Beach was my spot. I don't head down there very often anymore but when I do, I have a few fun places I like to visit. SUGAR FACTORY AMERICAN BRASSERIE - This by far is my favorite spot on South Beach. You may know of the Sugar Factory because of all the star sitings that have been made there but they're also know for their smoking alcohol and candy filled goblets. And if you're in the mood to grab a bit to eat, they also serve american style food ranging from pancakes to burgers. The last time I visited I even had chicken and waffles. Weather I go for lunch or dinner I've never been disappointed and almost always request a sit outside to people watch. PALACE - The Palace is the first and only gay restaurant/bar on Ocean Dr. Palace is know for their weekend drag shows that normally spill out onto the side walk in front of the restaurant. This show draws tons of spectators and the vibe is so electric. Sunday brunch at Palace is a must. If you're not in the mood to eat, grab a drink and watch the show. That along is worth the visit. 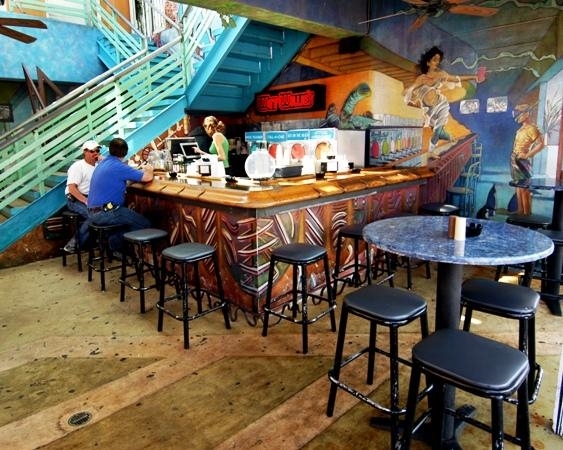 FAT TUESDAY - Fat Tuesday is a great bar located right across from the beach. You have the option of going during the day when it's less crowded to grab a bite to eat or play some pool. If you like the night life, you can stop by after hours for a little dancing and a whole lot of drinking. 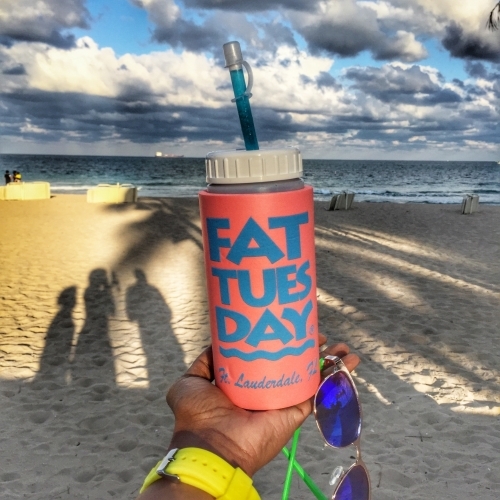 They are known for their frozen drinks that you can opt to have in one of their souvenir Fat Tuesday water ... I meant alcohol bottles lol. They have a great variety of drinks to choose from and they allow you to mix them so the possibilities are endless. WET WILLIES - Wet Willies is very similar to Fat Tuesday's. Located right on Ocean Dr. and is very similar to Fat Tuesday. I have a soft spot for it because I use to go there all the time when I was in college. So even though it is quite similar to Fat Tuesday I had to include it on the list. When I visit, I love to sit upstairs and enjoy the view of the beach and (for lack of a better word) interesting South Beach crowd. 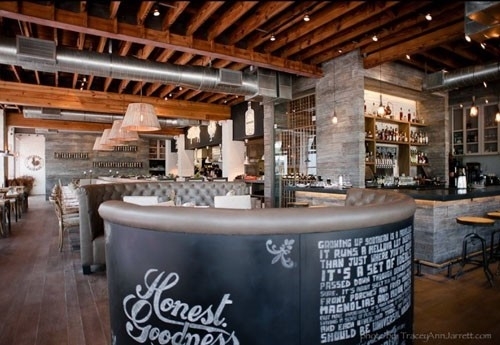 YARD BIRD - Yard Bird is a great restaurant that uses farm fresh ingredients to serve up some good old fashioned southern cooking. It's an awesome brunch spot and their chicken a nd waffles are amazing. (Do you see a pattern lol). The atmosphere is kind and friendly and worth a stop on your next visit to the beach. I just want to let you know that all opinions are my own and I was not sponsored to write these reviews. If you ever get the chance to stop by or if you have ever visited one of these spots, leave a comment and let me know.